There’s something different about born winners. Take Tony Blair, for example. Post-war Britain’s longest-serving socialist prime minister was so excited at the thought of getting a promotion when the then Labour leader, John Smith, passed away, that he galloped straight home and made love to his wife, Cherie. That takes a certain mindset. Here is a man who is not only sexually aroused at the thought of his own political success, but who is even prepared to then brag about it in his memoirs. Now I’m as career-driven as the next man, but if my boss keeled over tomorrow, I’d be surprised if my first reaction was to get an erection. A born winner like Alex Ferguson, on the other hand, you can see him perhaps suffering from a bit of what might be called “Blair’s bulge”. One man that you can bet your bottom dollar wouldn’t be aroused is David Moyes. Moyes would be as limp as a marigold glove on hearing the news. Such is the man’s negativity, his first reaction would probably to see if he can squeeze in an extra defender at the funeral. United’s form at the time of Moyeswatch 1 was not a calamity by any stretch. It was a mere aberration. One of those mid-level disasters, like the cat’s on fire, or you’ve ran out of mustard. Things weren’t great, sure, but there was still time to slam the stable door shut before the Stallion of Hope bolted for good. The scale of the disaster has moved on since then. The hamster wheel momentum of the Ferguson years has run out quicker than expected. Old Trafford is not at amber alert anymore. This is floating face down in the water territory. It’s difficult to see a way back now for Moyes. He’s shown too much fear. At the risk of paraphrasing Ken Clarke, there are “good” losses and “bad” losses in football. Often the manner in which you lose assists the prognosis. Go out in a blaze of glory, having slung the kitchen sink at the opposition, and you might earn yourself recognition for “having a go”. Limp to defeat by being overly defensive and you’re much less likely to be pooled into the repechage for another shot at greatness. Moyes might be the least positive man alive on 80 minutes of a football game. He can’t wait to weasel Chris Smalling past the fourth official; shepherding him onto the pitch with all the disguised care of Andy Dufresne digging a tunnel out of Shawshank Prison. Rooney and van Persie aren’t going to put up with this timid tripe. Players on the front cover of FIFA video games won’t stand for being subbed off for Chris Smalling. Star players need a pack leader in the managerial hotseat. Not a scared-y cat who charges behind the sofa every time the doorbell rings. The man from Dunbartonshire is getting frantic. Blaming referees has long been the preserve of a desperate manager. After the League Cup semi-final first leg, a 2-1 loss against Sunderland, Moyes declared that he was “beginning to laugh at referees” for the “terrible” decisions they keep making. It is very possible that such amusement is mutual. Teams are absolutely salivating at the thought of playing United this season. Three points at Old Trafford just used to be something you’d joke about down the pub. You’d dream about it, sure. But only in the way you’d dream about an evening with Martine McCutcheon and a well-sprung mattress. Or five minutes in a windowless room with Sepp Blatter and a 6 iron. Not anymore, though. Teams are counting the days until they can go to Old Trafford and vanquish one of the many fine records that United have built up over the years. First Everton win at Old Trafford in 21 years. Done. First Newcastle win at Old Trafford for 41 years. Roger that. First West Brom win at Old Trafford in 35 years. Home and hosed. First Swansea win at Old Trafford ever. It barely needs stating that this is United’s worst start to a season in a quarter of a century. The nerves are transmitting back and forth between the playing staff and the fans like some sort of fraught game of one-touch. Sharp intakes of breath around the stadium are becoming audible. The impatient cries of “shoot” whenever United approached the Swansea penalty area in the FA Cup 3rd Round did nothing to settle a team already short on confidence. Moyes’ Boys must be thanking their stars for every away fixture in the calendar at the moment, just to escape the Theatre of Shattered Dreams. For their part, the Old Trafford faithful are doing their best to take this sudden fall from grace with a sense of humour. Having persisted for quite some time with that rather needling “35 years” banner, the Stretford End has realised that self-effacement is the better part of valour with their latest effort. “The Chosen One” banner is hilarious. Moyes is already forced to take his seat in the dugout for each home game staring out at the Sir Alex Ferguson Stand. You would think that a 26,000-seater Homage to Crushing Expectation in your sightline would be overbearing enough. However, as luck would have it, he can also turn to face the Stretford End and gaze at this badly backfiring joke, with him as the unintended punchline. All it now needs is for the East Stand to be adorned with a picture of Roberto Martinez to complete the poor man’s panorama of misery. United fans also have to be careful to fend off a different demon. Denial. Conspiratorial tales are being bandied back and forth that seek to exonerate The Chosen One. Pleas of mitigation that Moyes was set up to fail. That Ferguson left a ticking time bomb for his fellow Scot to inherit. An aging squad, falling to pieces, barely managing to scrape the league title by a meagre eleven points last semester. I can’t believe I find myself in the position of defending Ferguson, but this accusation is a bit beyond the pale. In 2011, Ferguson signed a goalkeeper barely out of his teens and endured a host of wobbly displays in order to bequeath to his successor a custodian that is now widely regarded as one of the best in the world. He has brought along Rafael who, temperament aside, is one of the best young right-backs in world football. Similarly, he has blooded Phil Jones, Chris Smalling, Javier Hernandez, Tom Cleverley and Danny Welbeck into the team and, to top it off, invested north of £20million on Nick Powell, Wilfried Zaha and Ángelo Henríquez for the future. They say that a society grows great when old men plant trees whose shade they know they shall never sit in. To be fair to Ferguson, the old sod has bedded in enough saplings. Was there still a gap in midfield? Yes, but that was what the Fellaini money was for. £27.5million will get you a fantastic midfielder. Or two very good ones. In the end, all it got was one very tall one. This is a career-wrecker for Moyes. He’ll never get another shot at the big time. Another washed up nearly man, thrown on top of the pile of mediocre British managers, along with Mark Hughes, Sam Allardyce, Steve McLaren and a host of other godforsaken souls. He’s in grave danger of getting a Linked In request from Peter Reid. Critics are very good at letting you know when you’re on the slide. “You were the future once” a young David Cameron sneered at the soon-to-be-past-it Tony Blair. 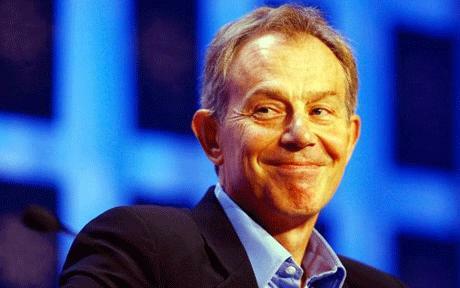 The bellows of laughter rang through the Commons and Tony knew it was one-year rolling contracts from there on. Moyes’ career in management will be more than halfway through when the next job comes around. Hopefully he was nice to people on the way up. In a study of 200,000 ostriches over a period of 80 years, apparently not a single case was reported where an ostrich actually buried its head in the sand. I implore United fans not to bury theirs either. Don’t try to tell yourself that “this is just something all teams go through”. It isn’t. David Moyes is doing a terrible job. He’s on for an astronomical points swing with an almost identical squad. Seven premier league managers have lost their jobs this season and none of them has done anything like as much damage to their clubs as Moyes is doing to Manchester United. Last year’s run-away champions lie seventh in January. There won’t be a Moyeswatch 3, that’s for sure. For two reasons. The first is on the grounds of taste. I’m not going to sit here and preside over a footballing Costa Concordia. There will come a point when it becomes undignified to pass further comment. The second reason is I might struggle to get round to it in time. David Moyes will be Sunderland manager within 18 months. It’s impossible to tell what will trigger this man’s loins. ← Who’s the Social Reformer in the Black? ahhhhh c’mon, Moyeswatch 3 would be hilarious!